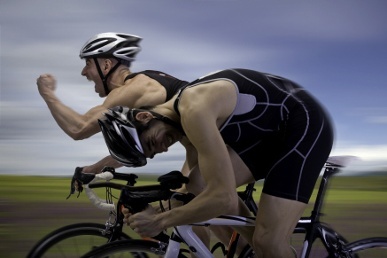 How are SAP Business One Users Staying Ahead of the Competition? Having a clear view on all areas of your business operations and managing customer expectations is becoming a necessity that companies need to achieve to stay one step ahead of the competition. Understanding the day to day business processes throughout an organisation helps to explore new ways to strengthen relationships and introduce a new customer base to a business’s products and services and assists with streamlining every day processes. Independent systems and applications achieve what is asked of them for a specific purpose; the only downside is that they work in isolation. This means that organisations are turning towards solutions that can provide the dynamic synchronisation of data between business software and applications such as an eCommerce store (Magento, PrestaShop, Shopifyetc) or an integration between a data service (creditsafe, Companies House, VIES). Automated SMS / email notifications for inventory reorder points etc. Including business systems and applications in an environment where they are empowered with added functionality to seamlessly integrate and synchronise information can ensure that business software and applications are used to their capabilities improving day to day processes and performance. SAP Business One has been designed to provide a flexible and easy to use framework with clear functionality for integration with third-party software. This well designed platform gives TaskCentre for SAP Business One the opportunity to offer code free data integration and synchronisation across practically any online or on-premise information system or database store across sales and marketing, customer services, finance and accounting departments and warehousing to increase company performance and efficiency to increase profit margins. Many organisations are turning to TaskCentre for SAP Business One – a SAP Certified integration and business process automation solution. To find out more about how TaskCentre for SAP Business One can assist your organisation here is a selection of integrations that can be achieved.